Edward Snowden, the CIA whistle-blower has officially asked Nicaragua for asylum, it’s embassy in Moscow announced Monday. 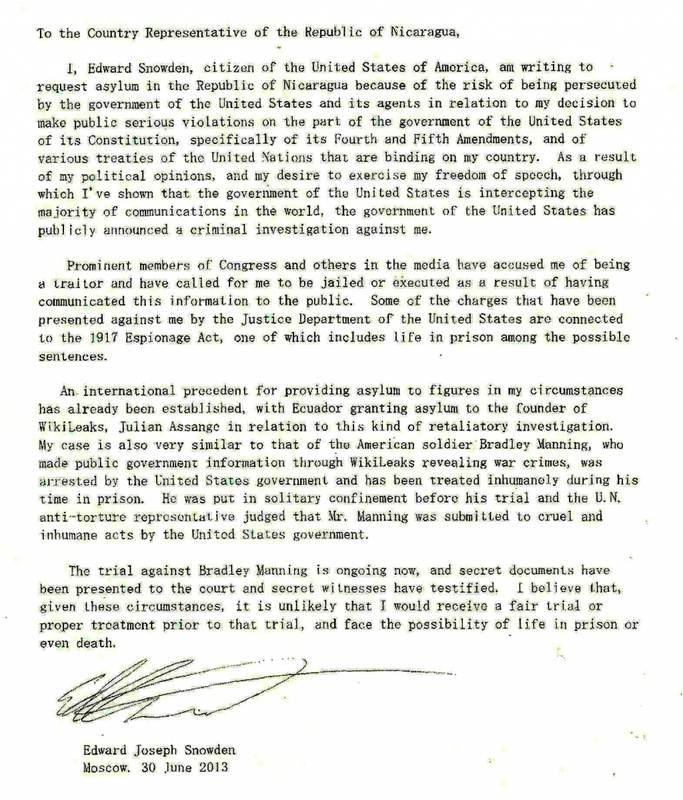 “I, Edward Snowden, citizen of the United States, am writing to seek asylum in the Republic of Nicaragua because of the risk of being persecuted by the [US] government and its agents” for revealing the existence of a vast US surveillance programme, he wrote, according to a Spanish-language text of the letter to Nicaraguan President Daniel Ortega obtained by AFP. La Nueva Radio, a Nicaraguan media outlet, also published the letter in English. “Under the circumstances, it is unlikely that I would receive a fair trial or appropriate treatment before trial,” in which, he added, he would “face the possibility of life in prison or death”. Snowden, considered a wanted fugitive by Washington for leaking classified intelligence reports to the media, has been restricted to the transit area of Moscow’s Sheremetyevo Airport since his arrival on a flight from Hong Kong on June 23. Russian President Vladimir Putin said he would not hand Snowden over to the US. On July 6, Bolivia, Nicaragua and Venezuela offered asylum to former CIA contractor and National Security Agency whistle-blower Edward Snowden. 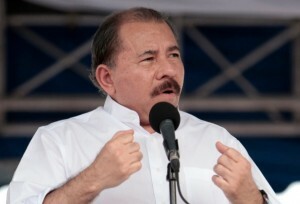 Ortega had earlier said, “We are an open country, respectful of the right of asylum, and it’s clear that if circumstances permit, we would gladly receive Snowden and give him asylum in Nicaragua”. He did not elaborate on the “circumstances,” however.